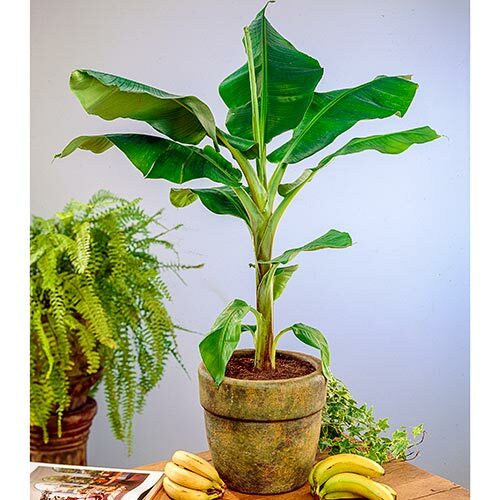 Dwarf Banana Tree - Grow Bananas at Home! With beautiful rosy flowers and large tropical leaves, this pretty tree bears edible fruit in less than two years. 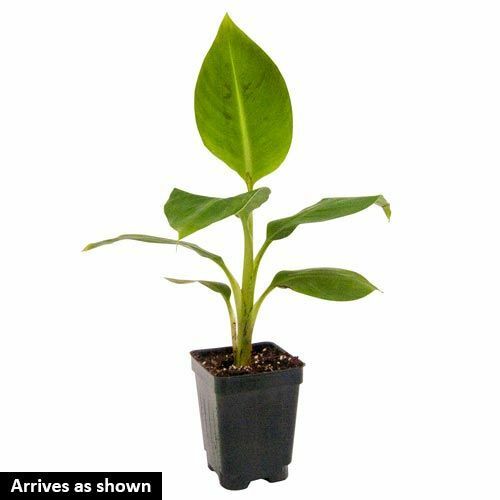 Grow in bright light indoors in winter; move pot outdoors in summer. Soil RequirementsNeeds a well drained soil-less potting soil that contains a generous amount of peat moss. Additional InformationBears fruit in 3-5 years.